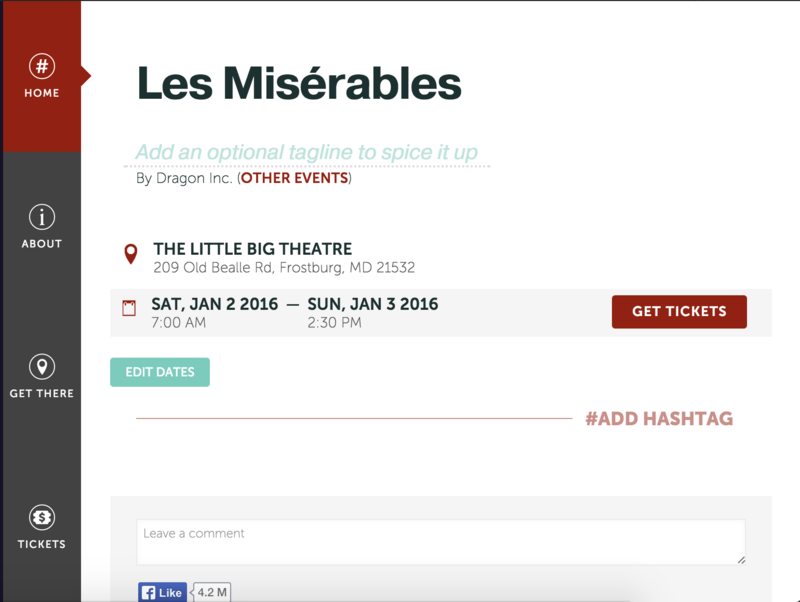 With Ticketleap’s Inline Editor you can select any editable element on the event page and edit it in-place. You will be able to edit your event page knowing exactly what the final product will look like. Both the inline editor and the traditional editor in the Admin have the same functionality so you can use whichever editor you feel most comfortable with. From here, you will be brought to an editable version of your event page. You know you are in edit mode when the switch on the top left corner is switched to Edit. From the Home tab you can make all the changes you would in the traditional Admin, but you are able to see how the event page will look as you are editing. 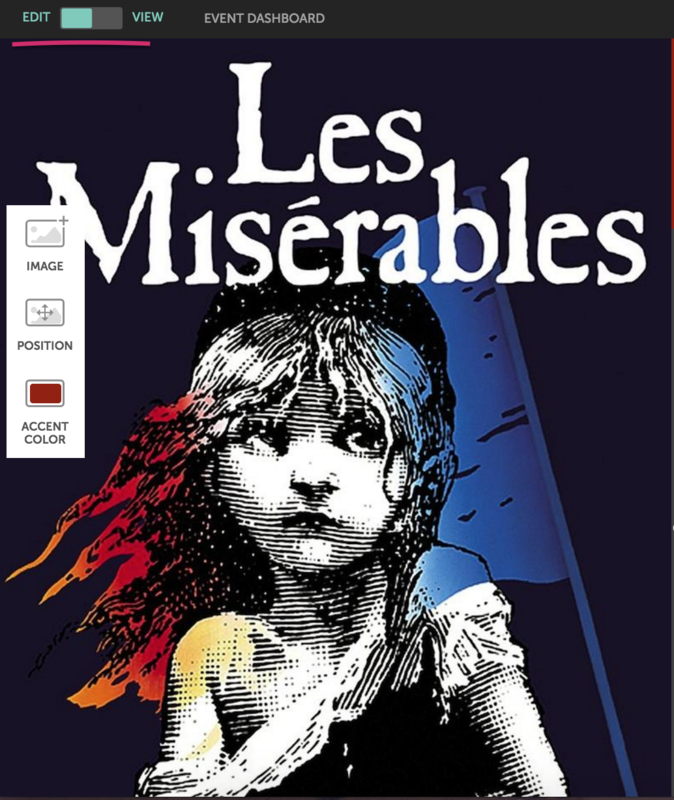 You can change the title of the event, add a tagline, change the location, date and time and add a hashtag. You can also change your hero image. 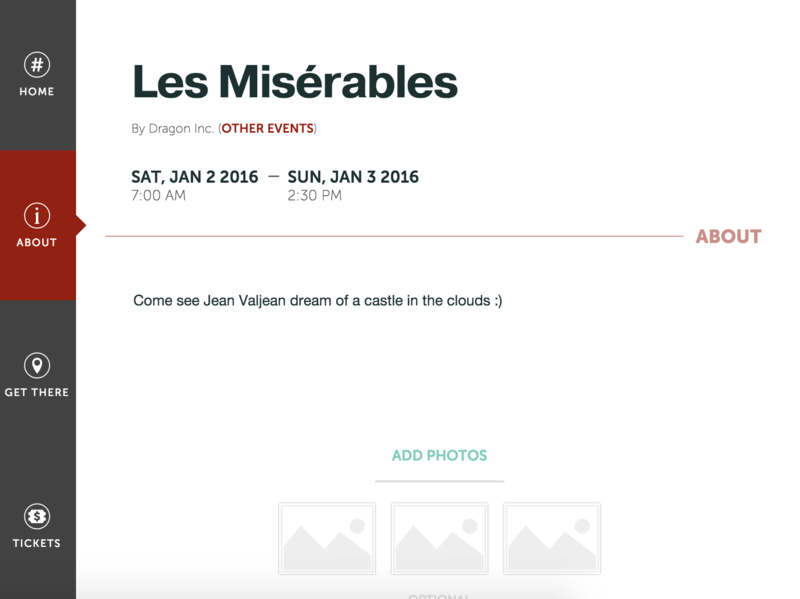 On the About tab you can edit the event description and add photos to your media gallery. 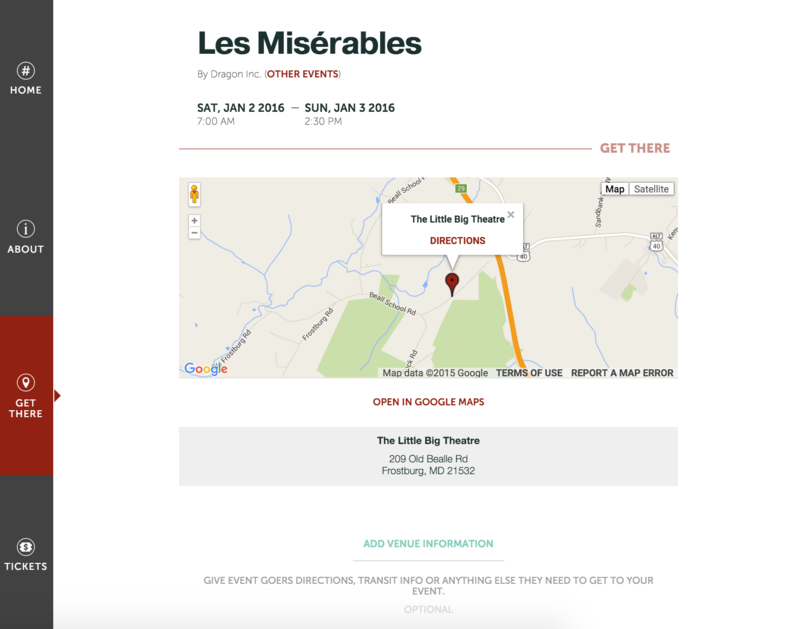 From the Get There tab, you can edit the location of your event and add venue information. 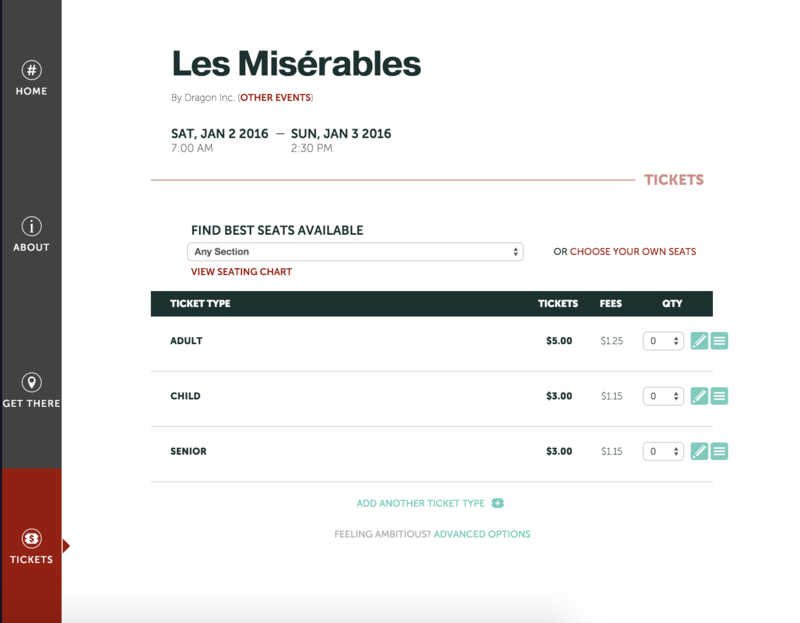 In the Tickets tab you can edit the name of your tickets, the price and advanced options such as inventory, check-in options, fees and seating charts. To view the event page without editing, just slide that switch in the top left corner to View and you can see your completed event page. How do I manage my media galleries? How do I set up non-Google analytics and tracking? How do I add a post-purchase message?